Add the following code to your HubSpot blog post template to add a Pinterest button to each post. 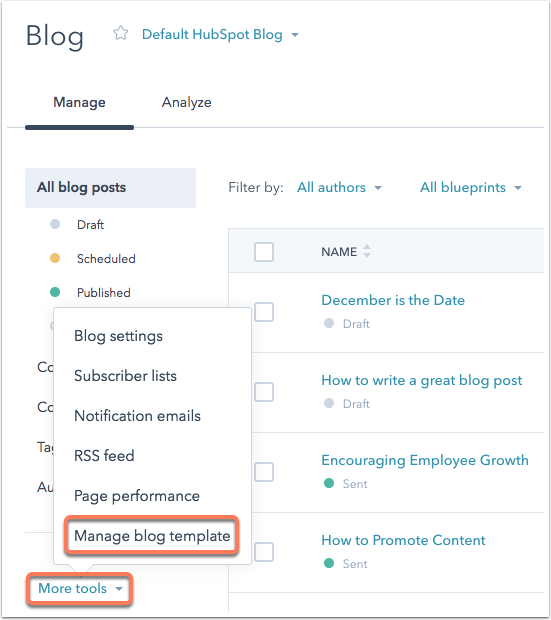 Click the More Tools dropdown menu and select Manage blog template. In the Blog Content module, click Edit Post Template.